The "FRWND" is a political organization organized under Section 527 of the Internal Revenue Code. Our goal is to inform the electorate through political education and activities, disseminate information to all members, increase the effectiveness of women in the cause of good government through active participation, facilitate cooperation among Republican Women’s Clubs in the State of Florida, foster loyalty to the Republican Party and to promote its principles and Candidates in all elections including non-partisan elections, and support the objectives and policies of the (NFRW), The Republican National Committee (RNC), the Republican Party of Florida (RPOF) and to work for the election of the Republican Party’s nominees. We welcome you to join us, support our efforts, and engage in the political process. City of Hialeah Councilwoman Lourdes Lozano, an honorary member of our Chapter, was born on April 8, 1944 in Cruces, in the province of Las Villas, Cuba. After emigrating to the United States Lourdes Lozano received a Bachelor’s Degree in Psychology from St. Thomas University. For more than 15 years she was employed with ARSCO International where she was the first woman to hold the position of Plant Manager. Due to her dedication and work ethic, she was promoted to General Manager and Vice President. She supervised over 75 employees while handling large government contracts. Lourdes Lozano has also been a Realtor for over 17 years. For the past 18 years, she has been employed with the Department of Children and Families where she assisted in initiating numerous projects helping needy families in the Opa-Locka and Hialeah communities. 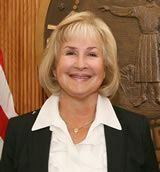 In 2011 Lourdes Lozano was elected as councilwoman for the City of Hialeah. She believes that serving her community is a blessing and believes in helping everyone. October 18, 2017 October 18 Meeting - State of the Media and Politically Motivated "Fake News"
Copyright 2017 by the Federated Republican Women of North Dade, a 527 political organization chartered by the Republican Party of Florida, the Florida Federation of Republican Women, and the National Federation of Republican Women.